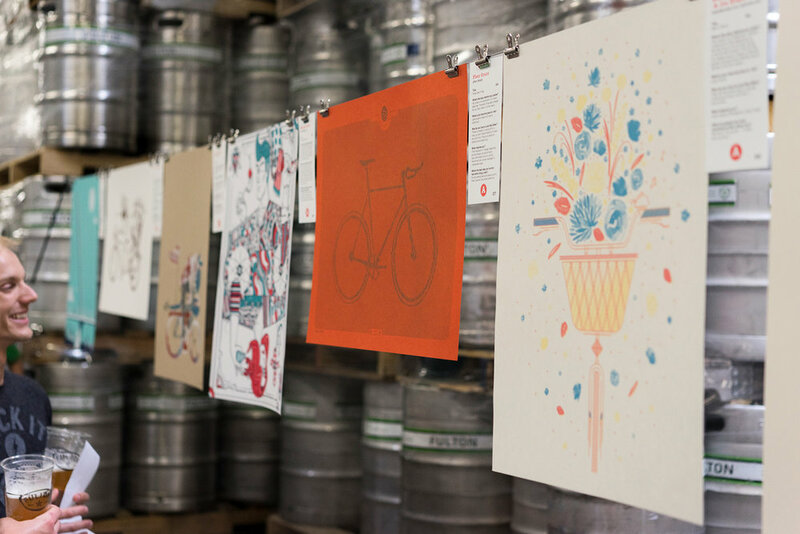 I made a letter press poster for Art Crank, a Minneapolis based poster show celebrating beer and bikes. Stand close & you will see 442 copper-inked lines. Take a step back and lines form a fixed gear bike. I created a cool video documenting the print process below. All WinkyLux. United. Basin Mountain Co. Flatiron. Still Life. Evereve. BET Vodka. Better Homes & Gardens. Illustration. Target. Art Crank. Polaroid. The Fae. Morjan. Prasarita. Picante Restaurante. Jillian Rae. Hokijoy. Da'uus. Great Lakes Aquarium. WinkyLux. United. Basin Mountain Co. Flatiron. Still Life. Evereve. BET Vodka. Better Homes & Gardens. Illustration. Target. Art Crank. Polaroid. The Fae. Morjan. Prasarita. Picante Restaurante. Jillian Rae. Hokijoy. Da'uus. Great Lakes Aquarium. Design. Photo. Blog. Subscribe? Hello! ©2019 Phen Grant, New York City.